Monitored smoke, heat and carbon monoxide detectors offer a greater benefit than stand-alone detectors from a hardware or home improvement store in that they will alert you to a fire when you and your family are not at home. Black Dog Fire & Security monitoring station can be your link to the fire department when receiving a signal from your system. Without monitored detectors, it may take several minutes for someone outside your home to realize there is a fire inside. By that time, your home and many of your valuables may be lost. Another benefit of fire alarm monitoring is that it provides a safety net for a home with pets where owners cannot be present at all times. As devastating as losing your home and valuables is, an even more important reason to have an integrated fire system is for when you and your family are at home. 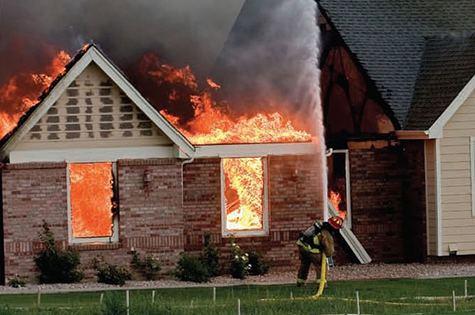 80% of all fire deaths occur when people are asleep. It is a common misconception that the smell of smoke will awaken you, when, in fact, breathing in smoke and gases could put you into a deeper sleep. Adding sirens to the fire system can give your system a means to awaken your sleeping family. However, the value of having a third party outside of the emergency to send the fire department for you is priceless. In a situation where minutes matter, Black Dog Fire & Security's dispatch could mean the difference in your family’s survival.